The New Year is here and it’s already shaping up to be full of music, theater, film, and other amazing things to do and see around Los Angeles. Here are a few of our top picks for the week ahead. Spend today surrounded by Dr. King’s memory and words at this all-day event at CAAM. 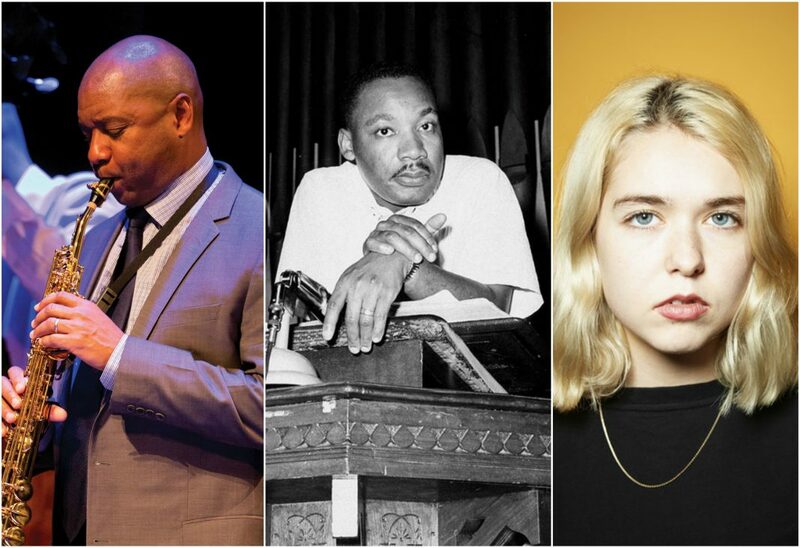 In addition to exploring the museum’s art galleries, there will be marathon readings of King’s speeches, workshops on contemporary civil rights activism, a performance by the Inner City Youth Orchestra of Los Angeles, and family activities. Throwback roller rink World on Wheels hosts this party, featuring music from DJ Rashida and Natasha Diggs. The proceeds from the event will go to benefit the Underground Museum, an independently run art space in Arlington Heights. Elton John is (maybe?) retiring, so the arrival of this Farewell Yellow Brick Road Tour in L.A. is an event. Shows kick off tonight, and continue January 23, 25, and 30 (plus February 1 and 2 at the Forum, and September 10 and 11 in Anaheim). Sing along to all the hits and revel in the spectacle one last time. Host Ariel Paredes brings together nine other female comedians for a night of laughs about love, dating, and life as a woman in L.A. Joining Paredes at Tangier at Hotel Figueroa are funny folks including Nicole Soul, Ariana Basseri, and Gabby Lamb. Parquet Courts and Snail Mail join forces for this night of indie rock at the Novo. Snail Mail is the stage name of 19-year-old Lindsey Jordan, who’s record, Lush, was one of the most-talked-about debuts of 2018. Parquet Courts, by contrast, have been filling up playlists and concert venues for a decade, releasing Wide Awake!, their sixth album, last year. All of the Marsalis brothers are talented, but Branford might be the most well known. For years he was the musical director of Jay Leno’s iteration of The Tonight Show–but the New Orleans-based jazz cat has way more up his sleeve than talk-show theme songs. Hear for yourself as the sax virtuoso takes the stage at the Valley Center for the Performing Arts. Attend an intimate magic show, tucked away in an unmarked speakeasy-esque theater space inside the swanky (and possibly haunted) Hollywood Roosevelt hotel. Your illusionist for the night is Justin Willman–he’s performed for President Barack Obama, and has his own Netflix series, Magic for Humans–and the show is produced by theory11, which works with Neil Patrick Harris and David Copperfield. In 1987 Bill Graham hosted the first Rock on Film festival at the Wiltern. This year, the venue is revisiting that history by staging screenings of iconic rock and roll movies, starting with this 40th anniversary showing of Pink Floyd: The Wall.